Alcohol is a universal key element in social gatherings. Its unique relaxant and euphoric effect become a social lubricant for people wanting to unwind, socialize, and just have fun. It is known by many names. People call it alcoholic beverage or spirit as a general term, beer in more casual contexts, or wine in more formal settings. But do these names mean the same altogether? This is a question a number of non-connoisseurs have in mind. Nonetheless, we shall answer a more frequently raised aspect of the matter – the difference between alcohol and wine. The question is best answered by this logical statement: wine is always an alcoholic beverage, but an alcoholic beverage is not always wine. This simply means that alcohol, or alcoholic beverage, is a general name for any drink containing alcohol, specifically ethanol. 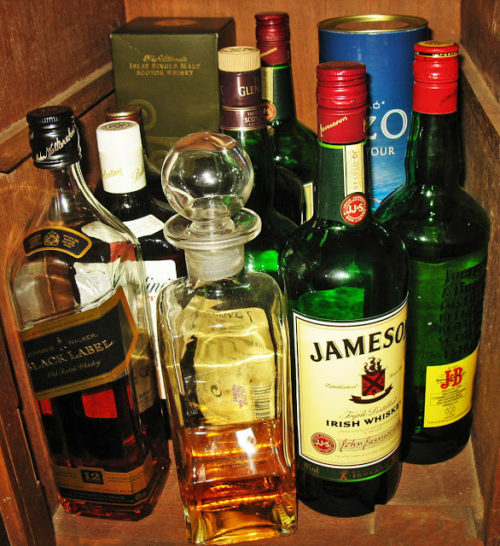 Alcoholic drinks are classified into three kinds: beers, spirits, and wine. Those with lower alcohol content, such as wine, are produced through the fermentation of sugar or starch from plant materials, while those with higher alcohol content are produced through fermentation with the addition of the distillation process. 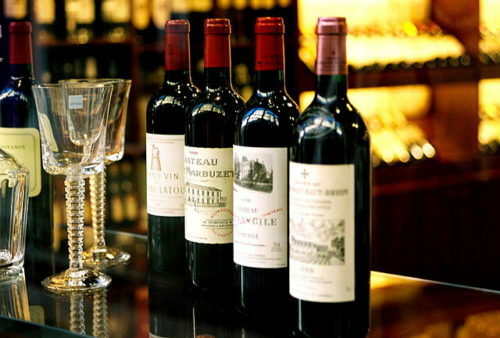 Wine entails a longer fermentation and aging process as compared to other types of alcohol. It can take years only to produce an alcohol content of 9-16%. As the word’s Latin origin, ‘vine’ (meaning grape) suggests, is an alcoholic beverage mainly produced from fermented grapes. There are also other types made from fruit juices obtained from apples, cherries, and plums, consequently generating several varieties of the said beverage, such as apple or elderberry wine, fruit or country wine, barley wine, sake, etc. However, grape juice is the preferred raw ingredient in the winemaking process due to its natural chemical balance that allows it to ferment without the aid of enzymes, acids, sugars, and other agents. What expedites its fermentation is yeast – a key constituent in the production that churns out sugar content in grapes, naturally transforming it into alcohol. Wine varies in flavor as well; the most popular are Pinot Noir, Chardonnay, Cabernet, Sauvignon, Gamay, and Merlot. In some instances, the term ‘wine’ refers to the higher alcohol content, rather than the production process. Studies have shown that wine and other types of alcohol can be beneficial to health, particularly in decreasing risks of cardiovascular complications and heart failure. Moderate consumption of other alcoholic beverages may be cardio-protective, although the association is significantly stronger for wine. Based on statistics, non-drinkers have a 2.36 times higher risk of suffering a stroke than moderate drinkers do. Additionally, moderate alcohol consumption has been shown to play a role in diabetes prevention by lowering blood glucose levels. Lack of moderation in alcohol consumption can be very dangerous. Aside from the typical intoxication, evident from slurred speech, delayed reflexes, clumsiness, dehydration, and nausea – too much alcohol can cause premature deterioration of the liver and brain. In extreme cases, alcohol plays a crucial role in the development of cancer. Alcohol, or alcoholic beverage, is a general term used to refer to a drink that contains ethanol. Alcohol is a universal social element used for relaxation. Wine is a type of alcoholic beverage. It employs a fermentation technique that usually takes longer than that of others alcoholic beverages. It is commonly made from grape juice and contains 9-16% of alcohol. Moderate intake of wine and other types of alcohol have been proven beneficial in maintaining cardiovascular health. Conversely, excessive consumption may result in short-term effects like intoxication and long-term complications such as liver disease and cancer. Celine. "Difference Between Alcohol and Wine." DifferenceBetween.net. July 16, 2018 < http://www.differencebetween.net/object/comparisons-of-food-items/difference-between-alcohol-and-wine/ >. Cardiovascular speaking is wine more friendly to health than a vodka mixture? I understand the proof of vodka is 80 proof and a component of 20 percent. Does that comput to a drink of 100 proof ? If so does wine become the better choice and how much daily for a woman with cardiac conditions!